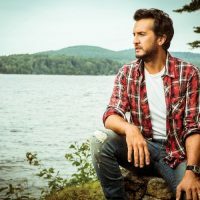 Luke recently wrapped his 2018 touring year headlining more stadium shows than ever before, playing 13 of the biggest and best sports stadiums across North America in Toronto, New York City, Cincinnati, Tampa, Pittsburgh, Boston, Minneapolis, Los Angeles, Denver, St. Louis, Chicago, Vancouver and Detroit. These shows were deemed the “What Makes You Country Tour XL Stadium Sized” and played for 30,000 to 50,000 thousand fans at each stadium stop often reaching crowds of more than 100,000 in a weekend with multiple back-to-back stadium dates and weekends. Luke, Katy Perry and Lionel Richie will return as judges for television’s most widely recognized competition series, America Idol, on March 3, 2019 on ABC. They have concluded the cross-country audition tour and are now underway filming the middle rounds.